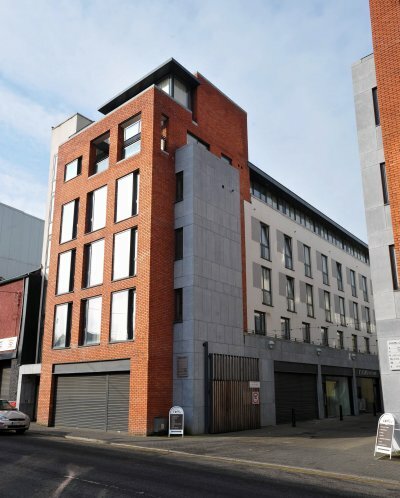 Chapel Court Phase II located on the corner of Cathedral Place and Summer Street, Limerick is a 6 storey building. The basement is a reinforced concrete structure while the upper floors are made up of a structural steel frame with pre cast hollow core concrete floor slabs. The basement consists of retail units, storage facilities and a courtyard. 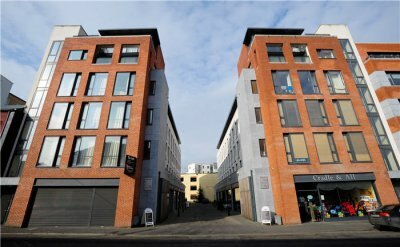 The ground floor comprises of apartments and retail units. 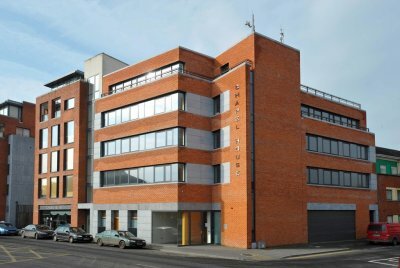 The first, second and third floors are all offices and the top floor contains a canteen. The external fa&ccedil;ade matches the existing Phase 1 complex, also built by BMCC Construction, and is a blend of natural stone and face brick. The split level roof is paving on asphalt on hollow core precast hollow core units.